My post this week is inspired by last year’s Flannel Friday Halloween Extravaganza by Read, Sarah, Read. Jennifer O’Connell’s Ten Timid Ghosts is a perfect story leading up to Halloween. 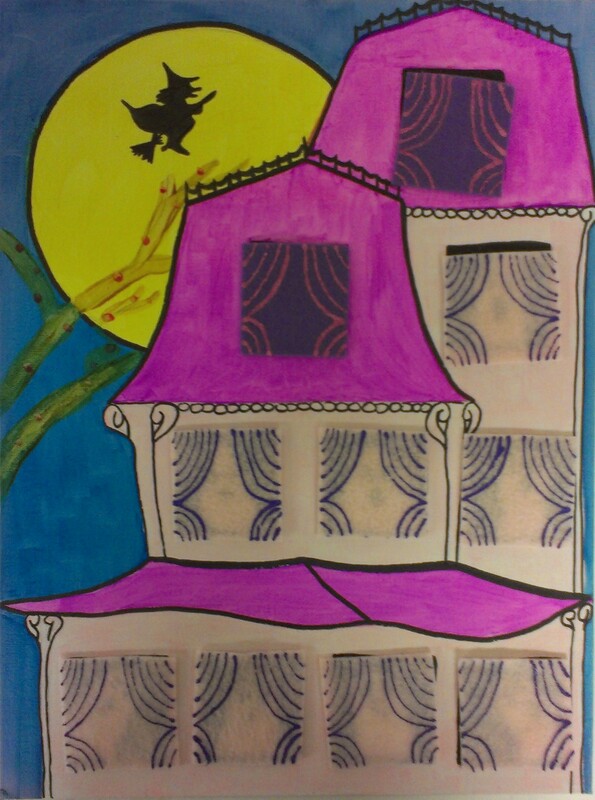 For some of my storytime and outreach groups the paperback is too small, so I painted this story on a canvas board. 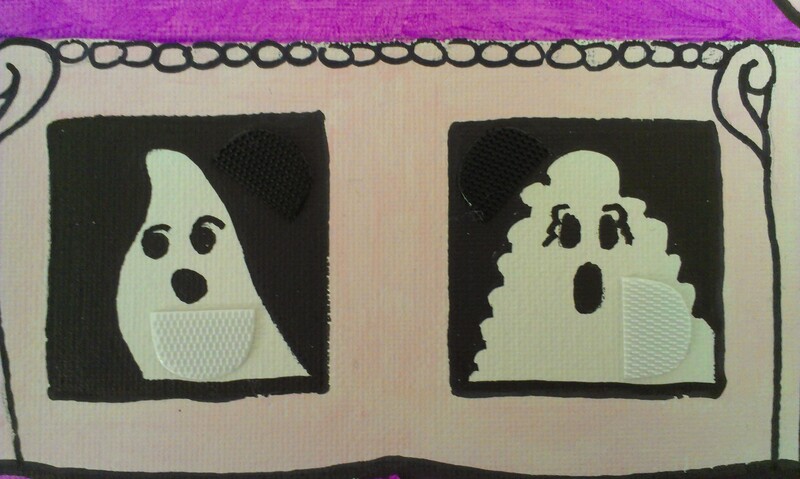 I added Velcro tabs to cover each ghost with curtains. As I tell the story I add a curtain to cover the ghost who flew away. 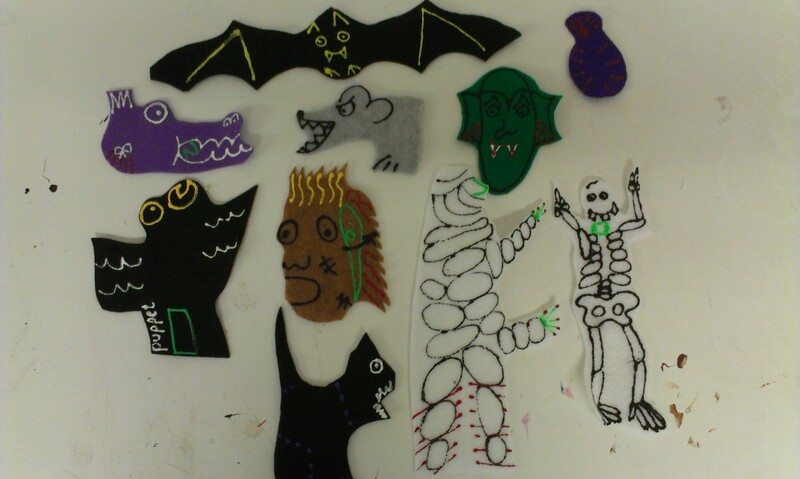 I made flannel pieces for each creature who makes an appearance in the story so I can use this story in different ways over the course of the month in my in-house and outreach programs. For more Halloween ideas, check out Storytime ABCs, she’s hosting the Halloween Extravaganza Flannel Friday Special this week. 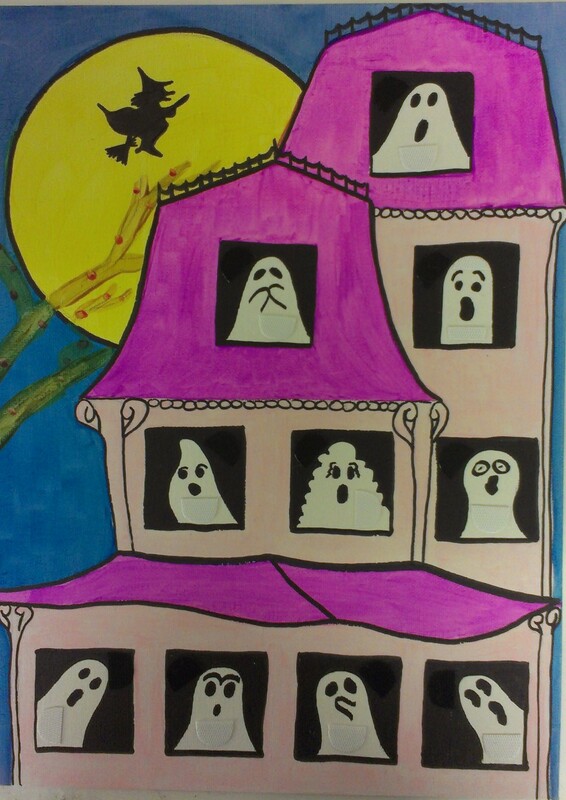 This entry was posted on October 3, 2013 by mrsshaia in Flannel Friday, Flannel Stories, Halloween storytime and tagged Flannel Friday, Flannel Stories, Halloween storytime.